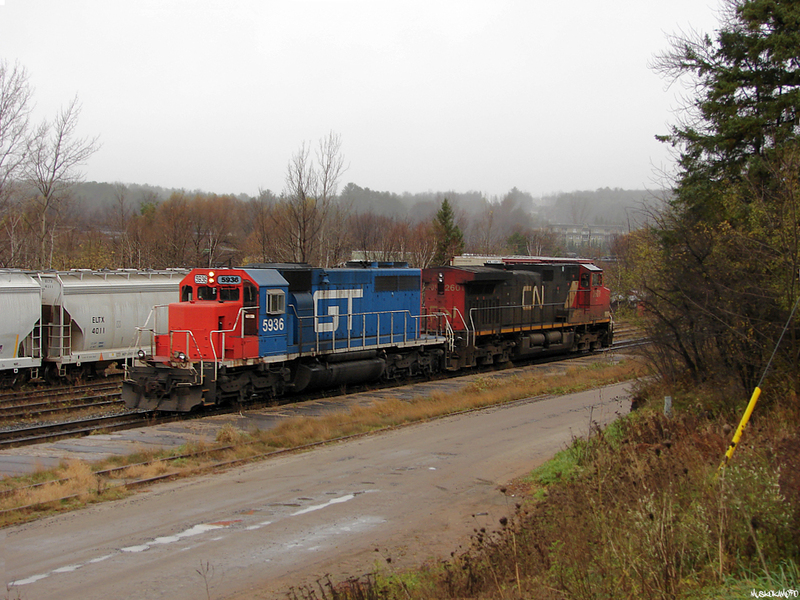 Railpictures.ca - MuskokaMoFo Photo: After setting off 1 LRS highcube in track 1, CN A45131 01 is seen returning to their train just South of town during a light rain with GTW 5936 leading on the shove. | Railpictures.ca – Canadian Railway Photography – photographie ferroviaire Canadienne. Copyright Notice: This image ©MuskokaMoFo all rights reserved. Caption: After setting off 1 LRS highcube in track 1, CN A45131 01 is seen returning to their train just South of town during a light rain with GTW 5936 leading on the shove.